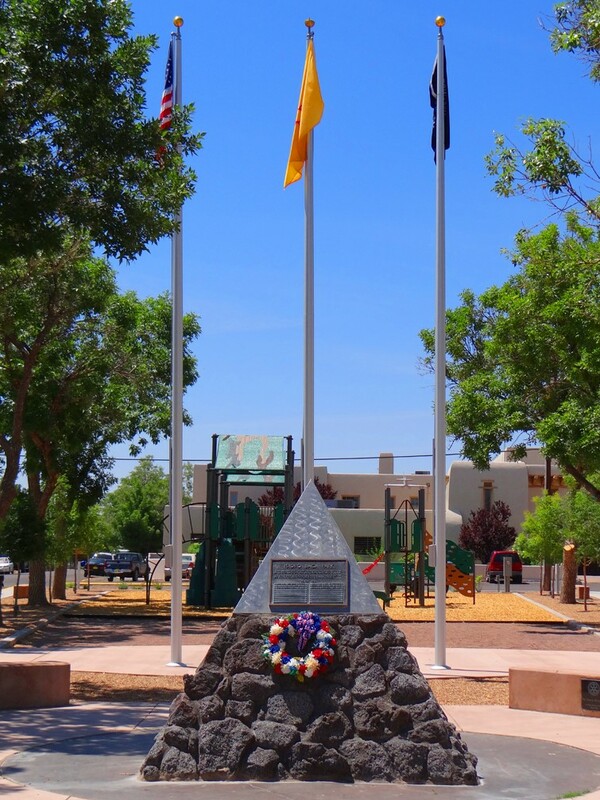 Flanking the Plaza in Socorro’s historic district, the beautiful Isidro Baca Park honors Socorroans who served in the U.S. Armed Forces. 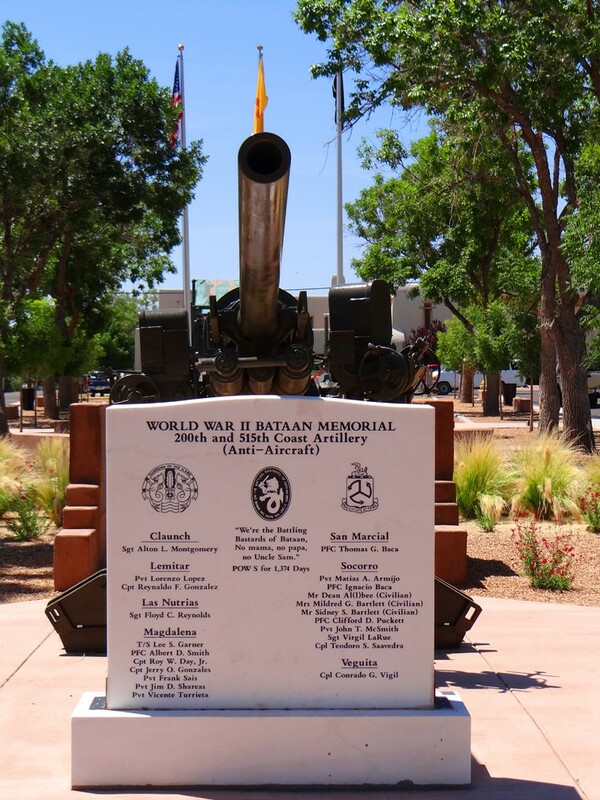 The park contains a fragment of “Jumbo” , the steel casing of the first atomic bomb detonated at TRINITY SITE, southeast of Socorro. 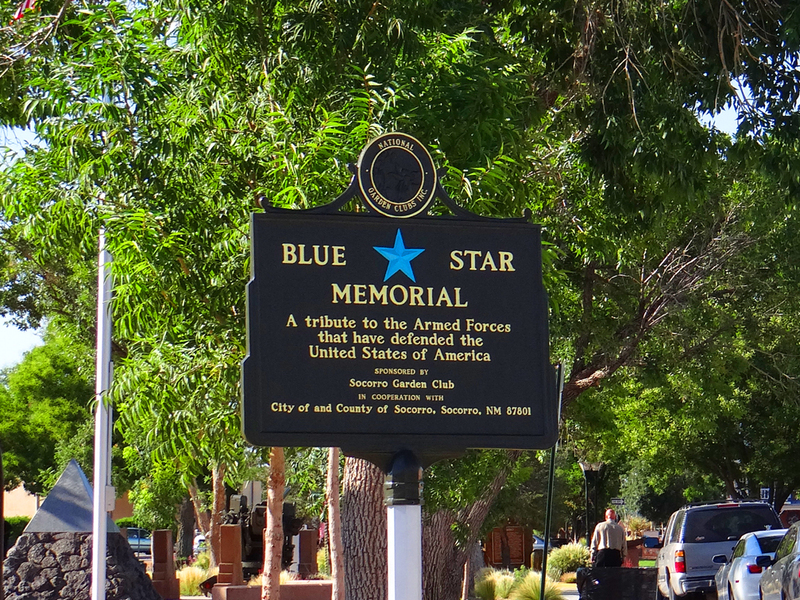 It also contains the Isidro Baca Park Memorial, World War II Bataan Memorial, and Blue Star Memorial. 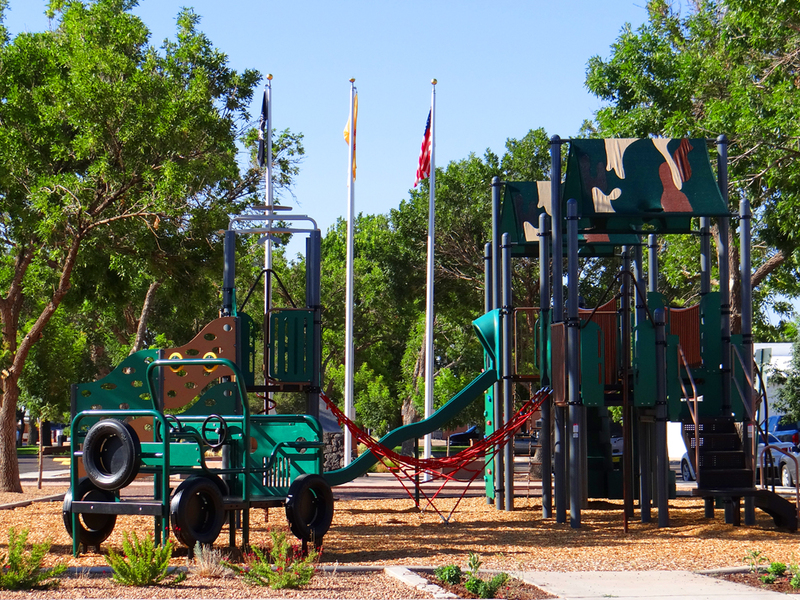 The children’s play area contains military styled equipment. Scroll down to read more about Isidro Baca, the park’s namesake. 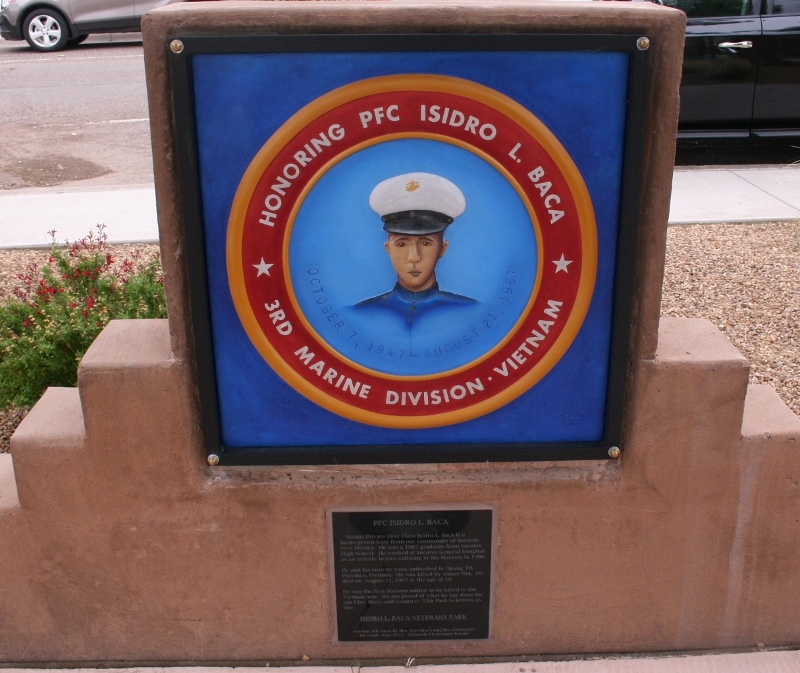 SOCORRO – Isidro Baca, the namesake of the city park in front of the Socorro County Courthouse, died on Aug. 21, 1967, while serving with the U.S. Marine Corps in Vietnam. Isidro was 19 years old and in Vietnam for only six months when his jeep was ambushed near the DMZ in Quang Tri Province. Some of Isidro’s experiences in Vietnam came alive for his sister, Ann Baca of Socorro, last week, Aug. 3-8, at a reunion of the 3rd Battalion/3rd Marines in Arlington, Virginia. During her stay in and around the Washington, D.C. area, Baca visited the Marine Museum and the Vietnam Memorial, among other places. Baca got a little closer to finding closure to Isidro’s passing by meeting his fellow members of Mike Company. Baca said she was able to meet and speak with the Corpsman who attended to Isidro after the ambush. The photographs helped her visualize conditions of the surrounding area where he was stationed. Baca also met one of Isidro’s buddies from Mike Company. “The dusters were tanks that would follow along with the Marines. They would kick up so much dust when they fired their guns they were called dusters,” Baca said. Isidro Baca is one of the six names on the Memorial in the park. Other Socorroans killed in Vietnam were Willie B. Lee, John V. Tafoya, Florentino Tafoya Jr., George Eloy Tafoya and Donald R. Alexander. According to its website, the 3rd Battalion/3rd Marines has been deployed to Afghanistan.